For a lot of people, Winter means picturesque snow-covered scenery, the sight of glistening crystalline icicles hanging from rooftops, staying warm and cozy indoors with your favorite blanket and a hot mug of cocoa. For others, it means blinding blizzards and icy roads, sludgy piles of wet slush and partially-melted snow, all the makings of the absolute worst driving conditions. While some have the luxury of “snow days” and delayed openings, highway crews, snowplow drivers, and street salters across the country must venture out and tackle Old Man Winter’s fury head-on. They are responsible for cleaning away Winter from our roads, thus making it possible for us to drive and commute even in not-so-ideal weather situations. Discount Starter & Alternator is here to help snowplow drivers and operators of snow and ice-removal machines with our selection of maintenance and repair parts for leading manufacturers such as Ford, Cessna, Blizzard, Canimex, Clark, Electrodyne, and many more. Browse our huge online inventory of hydraulic pumps, aftermarket motor repair parts, and complete motor assemblies. 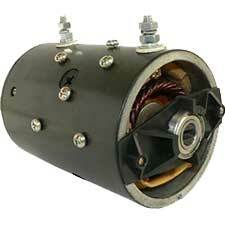 Shop with confidence at Discount Starter & Alternator. Sign up for emails to recieve exclusive savings and product info.